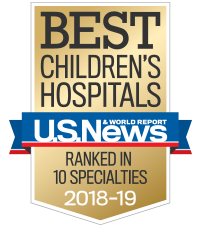 Whether your superstar athlete is a swimmer, dancer, soccer player or somewhere in between, the pediatric sports specialist at Children’s Healthcare of Atlanta are here to provide treatment, care, and rehabilitation for sports-related injuries and conditions. Our Adaptive Sports Program helps children and teens with disabilities find a sport they love and can play safely. Our certified athletic trainers work with young athletes on and off the field to help prevent injuries and keep them healthy. Our therapists and athletic trainers treat dancers as athletes to help them prevent injury and provide dance-focused rehab to help them recover. Our physical therapists are specially trained to work with children with orthopaedic injuries and help them regain strength and function. We help young runners run safely, recover from injury, and prevent injury with stretching and training tips. We develop specialized treatments to help young athletes return to playing their sport as safely and quickly as possible. Our Swimming Program helps young athletes recover from and prevent injuries, as well as improve athletic performance.